Watches these days come with a lot more features than they once did. Some act as pedometers, others are able to track GPS coordinates and others can be linked up to your smartphone to extend the range of functions. With so many different options out there, it is not unusual for someone to have a few different watches. With such a selection, it can be quite easy to wear the wrong watch to the wrong event. In this post, however, we have made things a lot simpler for you. We will go through the basic etiquette so that your arm is always perfectly dressed. So, wearing your Rolex to work when your co-workers are struggling to feed their families is bound to breed resentment. Keep to a more simple watch that has classic lines. Of course, this does change if you are the owner, or if you work with clients that are highly successful. In this case, an expensive watch might be necessary to convey the right image to clients or other business people that you want to impress. This will depend largely on the activities that you are going to engage in. If you are meeting friends for a drink, you just need a watch that has a more casual feel to it. A dive watch would work well here. If, on the other hand, you are going to be playing sports or roughhousing, you will want something that is not that precious to you. A watch where it doesn’t matter if it gets damaged. Again, at a casual social event, the emphasis should not be on how expensive the watch is but rather on functionality. You can pull out that Rolex for this one. If you have to wear formal attire, you should wear a dress watch to compliment it. In this case, the cheap digital knock-off that you got at the drug store just won’t make the grade. A general rule of thumb when it comes to choosing the right watch is to think about what other people will be there. What is their relationship to you? You would approach a meeting with a client very differently to a meeting with a friend, for example. What is the dress code? If you are wearing shorts and a t-shirt, for example, a nice dress watch will really look out of place. Consider what the other people there will be wearing and what they will expect of you. Finally, consider the purpose – if it is a normal workday, you don’t need something flashy and expensive. On the other hand, if you have to wow a new client, you need to pull out all the stops. 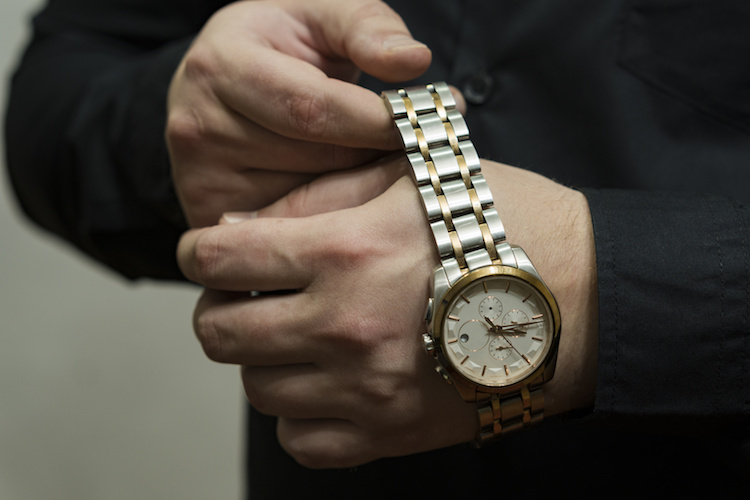 Start seeing your watches as an extension of your look – they must match the clothes that you wear perfectly.